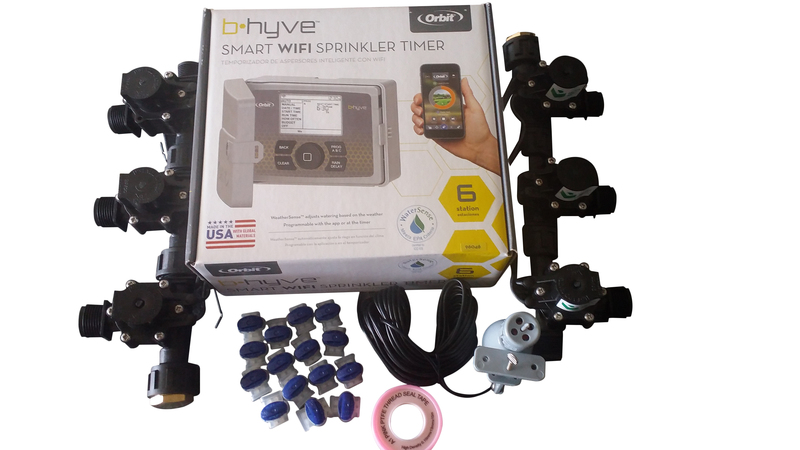 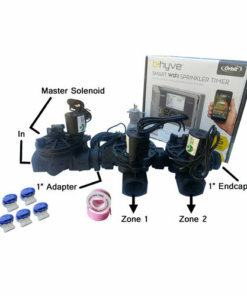 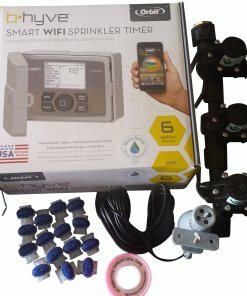 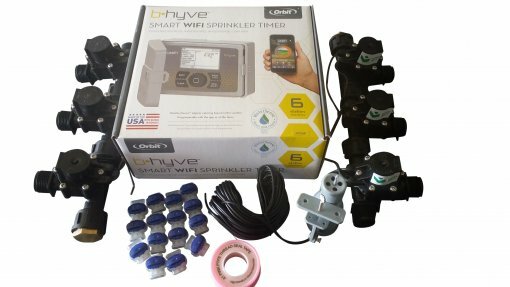 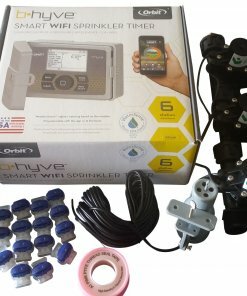 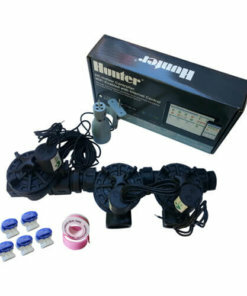 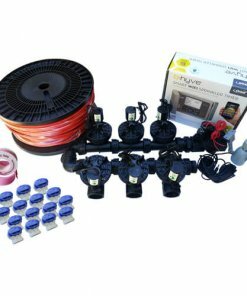 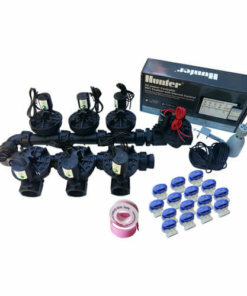 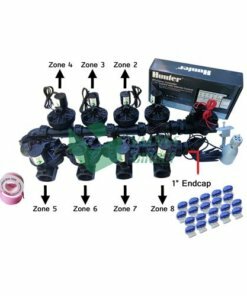 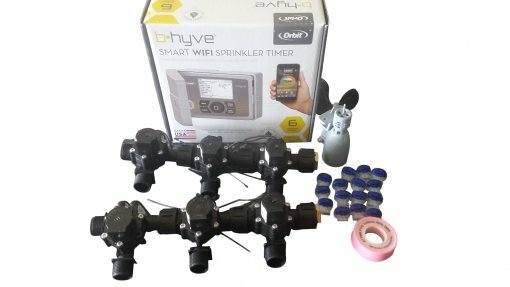 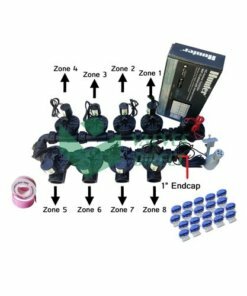 The Orbit B-Hyve Wi-Fi sprinkler timer allows the user to water smarter and make watering decisions based on the needs of the home garden. 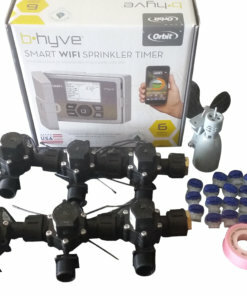 Orbit B-Hyve controller combines easy programming and remote programming using the home Wi-Fi. 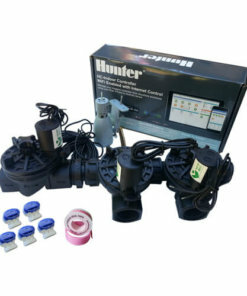 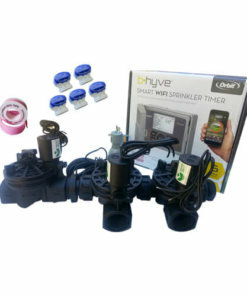 Users can remotely access and programm their controller from their IOS (Apple) or Android mobile application at no charge.Programming can also be carried out at the controller allowing dual functionality.Orbit B-Hyve can be set to adjust watering based on local weather using your postcode making sure you minimise water waste due to rain and delivering the correct water volumes to your lawn and plants. 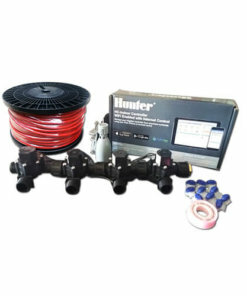 PLEASE CONTACT US IF YOU NEED MASTER SOLENOID( 3/4″ Male Inlet x 3/4″ Male Outlet – 24VAC 50LPM). 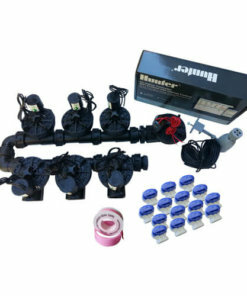 This Master solenoid can be included in beginning of valve assembly and is very useful. 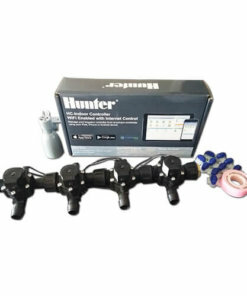 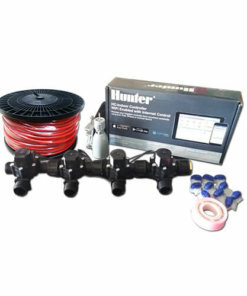 Also if you need to add more solenoids to this combo please let us know.